Boca Raton, FL — Boca Raton Football Club is thrilled to announce the return of Shane McInerney. The defender returns to Boca Raton FC after playing the last season with FC Linköping City, of the Swedish Football Division 2. A native of Ireland, McInerney played college soccer at Keiser University for three years appearing in 43 matches. In 2012, McInerney played at Monroe Community College, appeared in 20 games while starting in 18 games. The defender scored six goals with two assists on his way to being named All-Region First Team. 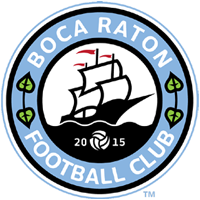 Boca Raton FC will continue the APSL Fall Tournament this weekend as they head to Tropical Park to take on Red Force FC on Saturday, October 14 at 5pm.